Garlic, Seaweed, Vitamins, Salt, Oil, Probiotics and Herbs. The following lists the contents of this supplement per 25g scoop. Relieving pain, reducing inflammation, boosting the effects of anti-biotics, reducing blood pressure and helping respiratory problems. 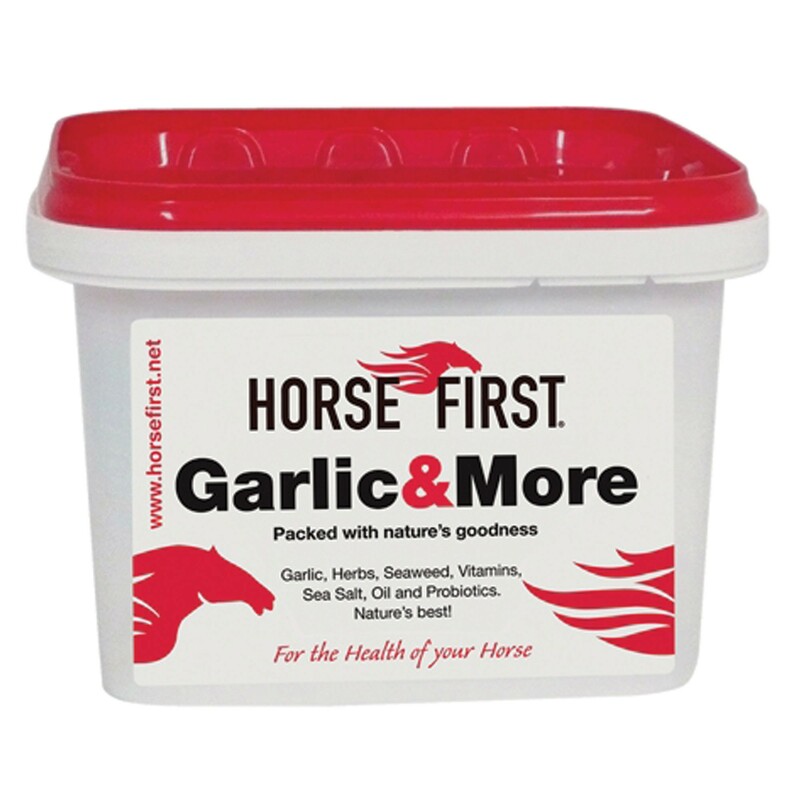 Below are some recent questions we've received regarding Horse First Garlic & More for Horses, including answers from our team. There is no fixed dose, but one scoop per day should suit most individuals. It is safe to give more and some people will give a double dose for the first week or two (and to heavier horses generally).